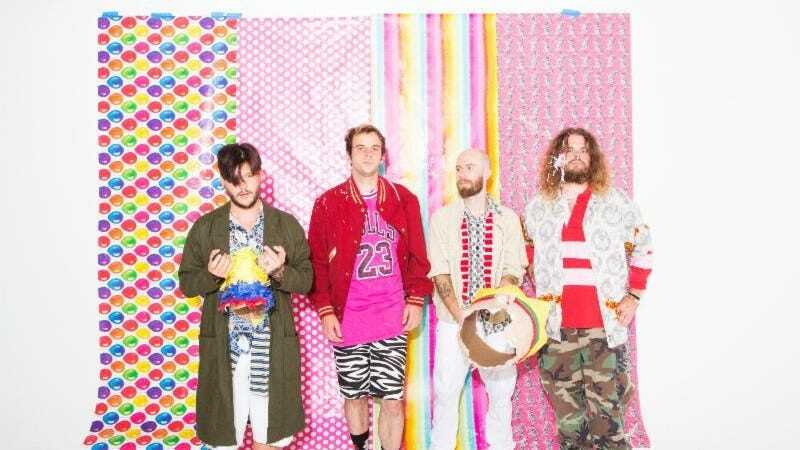 Having worked out whatever issues with their label that led singer Nathan Williams to tweet some not-so-nice things about Warner Bros. Records last week, Wavves have officially announced that they will return with their fifth album. Going by the Zeppelin-esque moniker V., the album will consist of 11 tracks—including the bouncy lead single, “Way Too Much”—and hits stores both virtual and physical on October 2. V. is already available for pre-order on iTunes, and the band will tour with Twin Peaks, Swimmers, and Steep Leans starting in September. A full list of Wavves’ fall tour dates are below.